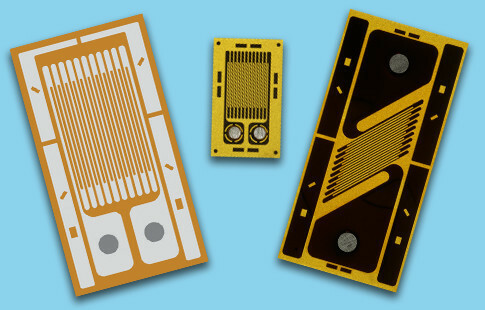 Micro-Measurements Transducer Class® strain gages (gauges) and related products are a select group of gage patterns designed specifically for high volume transducer applications where a primary objective is optimal performance at a lower cost. Transducer Class strain gages are built with our Advanced Sensors technology, using state-of-the-art equipment and tooling for excellent performance and reduced lead times. Linear patterns are typically used in S-Beam, Binocular, Reverse Bending and Dual Beam load cell and pressure transducer designs. 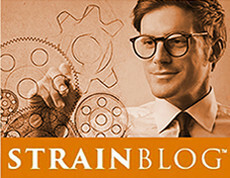 The grid size can be matched to the peak strain portion of the T-Section to maximize output. They are available in single linear or dual linear configurations to allow for gaging one side or both sides of the spring element. Bi-axial strain gages, often referred to as Poisson gages, are 90° tee rosettes for use in column load cells or simple cantilever applications. In column load cells, the gages are utilized to cancel bending strains and for cantilever beam applications, these sensors allow for gaging a single side of the spring element to reduce cost. 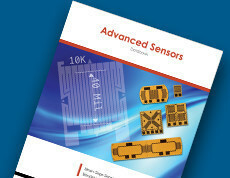 The Micro-Measurements Advanced Sensors Technology product portfolio includes linear, shear, bi-axial and diaphragm (circular and linear pattern) gages, arranged as individual, half-bridge and full-bridge configurations, in resistance values from 350 Ω to 20 kΩ, with added flexibility in mounting options. 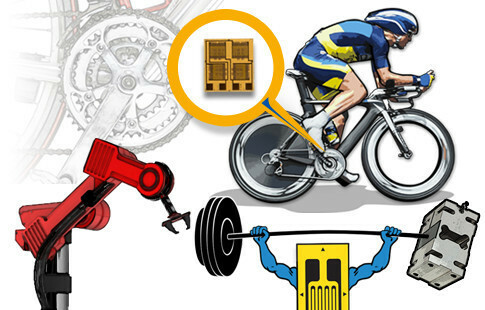 These gages are a preferred choice when low power consumption is crucial, as in battery-powered devices such as electronic torque wrenches; pocket (jewelry) scales; bicycle and motorcycle sensing and testing equipment; and for applications such as wireless telemetry on rotating components. 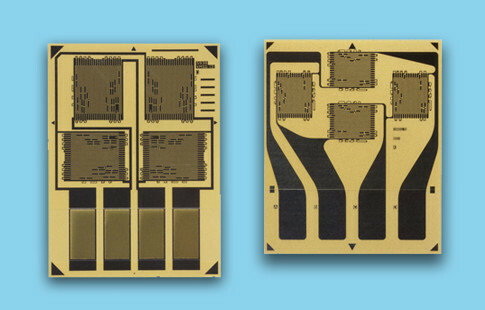 In addition, higher bridge resistance allows for increased bridge excitation producing more output signal without the destabilizing effects of self-heating. The higher output without additional amplification improves its signal to noise ratio. Full bridge configurations provide all four active gages, which make up the Wheatstone bridge and the intra bridge circuit is integrated on a common backing matrix providing more accurate gage placement. Bridge balance is far simpler, while increasing reliability by eliminating all intra bridge solder connections. 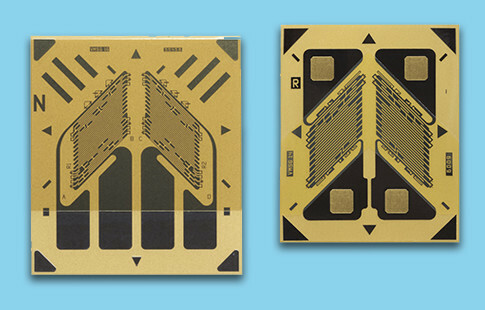 Compared to bonding multiple individual strain gages, the full-bridge devices provide simplified, more precise alignment and reduced bonding operations. Finished transducer designs can therefore remain reliable, yet cost-effective, without sacrificing accuracy and performance. This high reliability approach to transducer gage design makes them an excellent choice for aerospace, medical, automotive and subsea applications. Classic diaphragm strain gages employ four gage grids arranged to take advantage of the unique bell shaped tension/compression strain distribution on a pressure diaphragm. 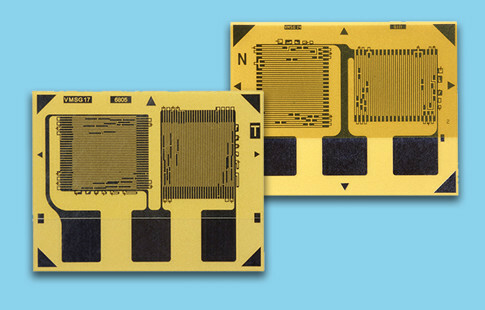 When these gages are bonded to the “outside” surface of the diaphragm they are typically trimmed square. However, when the gages are to be installed onto a recessed diaphragm (a more common application) the gages must be trimmed into a circle. Micro-Measurements can supply either square-trimmed diaphragm gages (standard) or circular-trimmed diaphragm gages (optional). Different trim diameters, depending on the diaphragm size, are available. Several standard circular trim sizes are available to fit a wide range of diaphragm diameters. 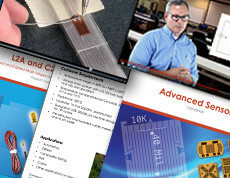 This unique, high gage factor strain gage series offers increased strain sensitivity (4+ gage factor) – more than double all other foil strain gage types. This feature is particularly useful in fatigue-rated load cells and transducers because strain levels can be reduced while still providing a standard 2 mv/V output. It is also helpful in dynamic (impact) transducers because normal transducer deflections can be reduced and dynamic response improved, while maintaining standard signal levels. This gage type also allows for higher burst protection in pressure transducers. Platinum-tungsten (Pt-W) gages are supplied with flexible polyimide backings, full encapsulation and pre-formed solder dots. 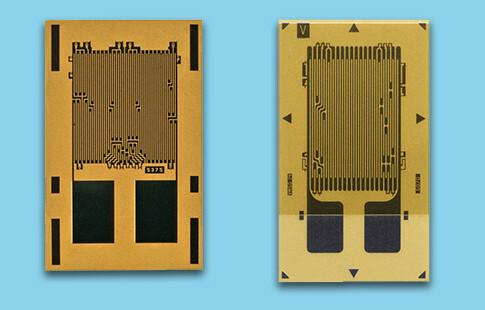 Fiber-reinforced backings are also available upon request. 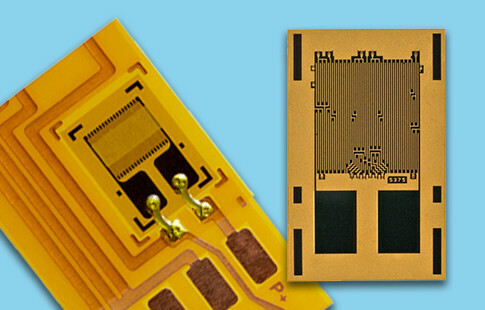 As the foundation of consistently reliable and precise transducers, Micro-Measurements’ Advanced Sensors resistors are built on a new manufacturing process using state-of-the-art equipment and tooling. This results in a tighter tolerance, better stability, and shorter lead times when compared to conventional manufacturing techniques. 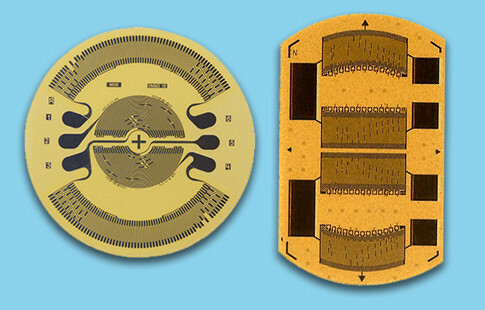 Customers who’ve tested the resistors in transducer products have reported more repeatable test data compared to previous-generation conventional resistor types. 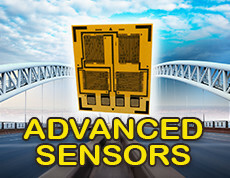 See our complete Advanced Sensors® product offerings. Learn more about our products through a variety of materials, watch videos, and explore our large Knowledge Base and much more! Questions and answers on the go! 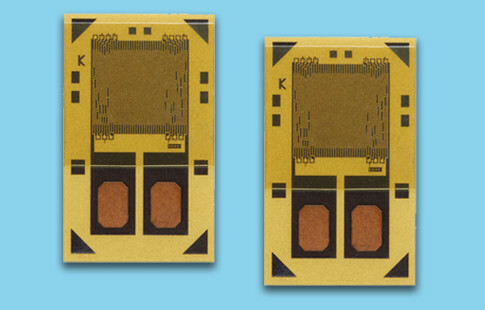 Listen to Micro-Measurements experts explain the many facets of strain gage technology. 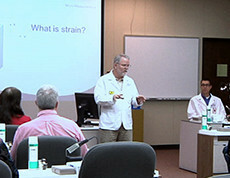 Micro-Measurements conducts an extensive series of regularly scheduled, hands-on technical workshops and short courses. Copyright Vishay Precision Group, Inc.